SHANGHAI, Aug. 8, 2017 /PRNewswire/ -- Avid.ly, a pioneering mobile application developer, has officially released UPLTV, the world's first user lifetime value (LTV) optimization platform powered by artificial intelligence (AI). Pilot program participants have seen averaging 30% user LTV increase, with some over 50%. UPLTV begins by leveraging Google's TensorFlow and using long short-term memory (LSTM), a recurring neural network (RNN), to analyze user behavior. This includes how players in the aggregate and individually interact with each game, including when players launch or exit a game, make in-app purchases and their sensitivity to advertising. The platform automatically mediates what monetization events - opportunities for the player to make in-app purchases or view advertisements - to embed in context-appropriate scenarios. By testing player responsiveness and forecasting 7- and 14-day retention rates, it can optimize subsequent monetization event exposure and frequency to maximize player LTV to a 95% confidence interval. "Having developed and published mobile apps and games at scale, we intimately understand the headaches faced by developers and startups," says Brain Xie, CEO of Avid.ly. 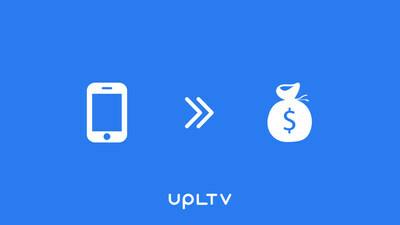 "UPLTV is the culmination of all our experience tackling the problem of guaranteeing current and subsequent revenue while keeping players immersed in the game." Xie notes that UPLTV is just the first step in AI-powered LTV optimization. "Our mission is to blend powerful, time-saving technologies into game development. Our goal is to help our partners convert user gameplay into the sustainable income that allows them to create delightful experiences for their audience." Avid.ly is the latest venture by serial entrepreneur Brian Xie, who previously founded Holaverse in 2014 and oversaw its growth to over 400 million users becoming a Top 10 Google Play Developer. In 2016, Avid.ly spun out of Holaverse as the trailblazing international mobile game publisher behind hit titles such as Pet's Island, Kingslots, and Tasty Treats. The company is now expanding into AI-powered monetization optimization, becoming an SaaS provider to its international partners and clients.